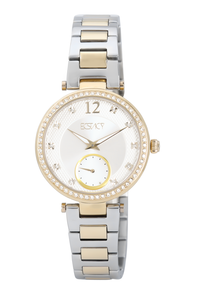 Ecstacy E7522 collection is made only from high quality materials. The chronogrpah functionality is a perfect blend of beauty and style. The body is made of stainless steel material and is covered with IP-coating, resistant to external influences. The stainless steel strap fixes the wrist watch securely and does not cause allergies. It is made of precise Japanese quartz movement. 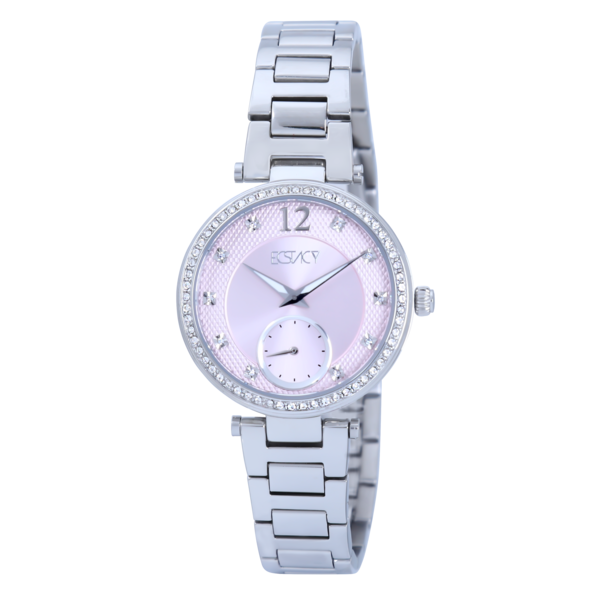 Mineral glass, resistant to scratches, reliably protects the dial from moisture and dust. Pressure static depth experience is up to 30 meters which perfectly crafted suitable to your everyday look. 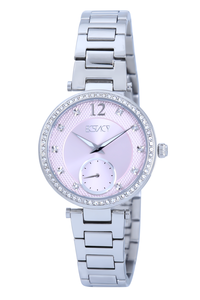 Fascinating & pleasing, this timepiece from Ecstacy is crafted for a dominating stylish look. 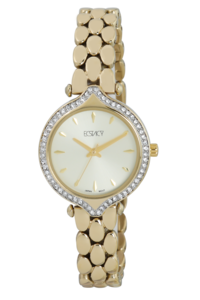 Ecstacy E7522 collection is made only from high quality materials. The chronogrpah functionality is a perfect blend of beauty and style. The body is made of stainless steel material and is covered with IP-coating, resistant to external influences. The stainless steel strap fixes the wrist watch securely and does not cause allergies. It is made of precise Japanese quartz movement. Mineral glass, resistant to scratches, reliably protects the dial from moisture and dust. Pressure static depth experience is up to 30 meters which perfectly crafted suitable to your everyday look. 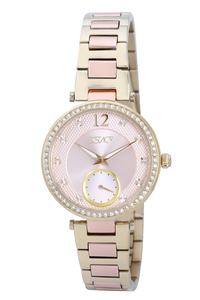 Fascinating & pleasing, this timepiece from Ecstacy is crafted for a dominating stylish look.